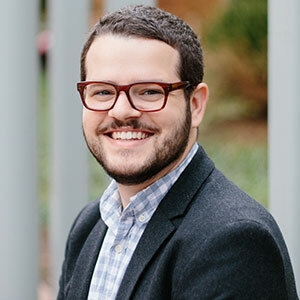 August 21, 2018 Jonathan Boldes is a former Senior Business Development Manager at Arlington Transportation Partners and has been living car-free since 2011. He often rides his bike four miles to work but also utilizes various buses and the Metro. ATP Takeaway: With more than 2,600 employees on site, Temple Army Readiness Center is always improving and innovating their transportation options. Temple Army Readiness Center (TARC) joined Champions in 2015 and has managed to sit at our highest tier, Platinum Level, for all four years of its enrollment. Their commitment to Champions and vast suite of benefits and resources make them a model employer in Arlington, Virginia when it comes to commuting and sustainable transportation. TARC understands that getting employees to work each day can be a real challenge. That’s why TARC’s Transportation Manager, Gary Dyson, and his team work every day to ensure employees know how to take advantage of their options. TARC sets itself apart from most employers by offering one of the most robust vanpool programs in the entire County. TARC is likely only rivaled by the Pentagon when it comes to total vanpools. With an astounding 29 vanpools currently traveling to the installation each day, TARC is removing roughly 230 single-occupancy vehicles from the road each month. Their subsidized transportation benefit offers up to $260 per month which allows employees to commute at a discounted rate and receive preferred vanpool parking spots. Dyson and his colleagues were courteous enough to take part in our 2017 Champions video, highlighting the benefits of vanpooling and other modes that Champions use. Vanpooling is not the only highlight. TARC also has amazing bike facilities that are currently housed in two former parking spaces. The parking spaces were converted into bike racks that regularly hold more than 30 bikes. They installed a bike repair station so that bike commuters can work on their bikes and pump up tires if needed. The bike area is located underneath a covered parking area so that the bikes and equipment stay safe in all forms of weather. Bike commuters have access to multiple showers and an extensive locker room to help them freshen up before heading into work. TARC shows that every employer needs to prioritize commuting to ensure employee satisfaction and timeliness. Through subsidized transportation benefits, a robust vanpool program, and facilities for their bike commuters, TARC demonstrates how best to cater to its commuters. Through Champions, they have been able to gain recognition for their outstanding benefits and facilities.